Ignorance and failure are not usually associated with scientific discovery. But for scientist and writer Stuart Firestein, PhD, they are an integral part of the process. Firestein’s recent books, Ignorance: How it Drives Science, and Failure: Why Science is so Successful reveal that science is often more clumsy than precise. With its imperfections, Firestein suggests that science is not “built on forbidding great and imponderable pillars,” rather it is something we all can all relate to. 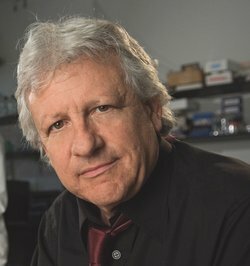 Firestein is chair of the Department of Biological Sciences at Columbia University where his laboratory studies the vertebrate olfactory receptor neuron as a model for understanding the brain and nervous system. How did you get the idea for a book about failure? When I began to think about my own lab and how things work or don’t work I realized how important failure was. In my lab, we work on the olfactory system; trying to learn how the brain maps odors. And even though we’ve had wonderful models and ideas, we’ve been spectacularly wrong several times. I realized that failure very often leads to questions that hadn’t been thought of before. So it’s about the surprises? Science is really quite an adventure. It’s a great chase, and it’s immense fun if you think about it as posing and answering questions rather than just a pile of facts to memorize. There is nothing like being surprised in the lab. Isaac Asimov once said that what a scientist really wants to hear when they look at data is not the word Eureka, but “oh, wow, that’s weird.” It’s always more complicated than you think, but in the end it’s also a lot more interesting. How do you teach a class on ignorance? For the core of the class, I invite members of our science faculty and others to come in and talk to the class about what they don’t know, what they would like to know, and why they decide one research question is more important or more urgent than another. I ask them to come in without preparation or a lecture because I want them to talk, not so much about the big questions, but about the day-to-day questions that come up in the lab. What are some of the biggest misconceptions people have about science? That [science is] a pile of impregnable facts—which isn’t even close to the case. The last thing that most scientists care about at the end of the day are the facts. Once you know something, you put it away and get on to the next thing. You only really want to know something because it will help you frame a better, deeper, more sophisticated question. What advice do you have for young scientists? Follow your curiosity. That said, there are real issues related to funding and publishing. Just to give you a sense of the numbers, when I started running a lab 20-30 years ago, somewhere around 28-30 percent of grants got funded. But now, the funding levels are typically between 8-12 percent. At that point, it becomes a lottery. In fact, I was just talking with a young scientist who wanted to pursue a high-risk project because it was a great question, so she did, but she kept another low-risk project going in the lab that she knew would get published. The low-risk project wasn’t what really interested her; she just thought it would be a contribution to the scientific community. That’s probably a smart strategy because unfortunately the funding situation is not what it used to be and I don’t know whether it will ever be again. How would you like to see the funding environment change? I think we could be more adventurous and we should be; we have been in the past. I have to say, in the end there are a lot of ways it could be solved, but the simplest way it turns out is the way we solve many problems, and that is by throwing money at it. And I don’t know why there isn’t enough interest in doing that because if you look at the economic reports, again and again, the biggest bang for the buck our government spends is in science. I mean the return on investment turns out to be immense in terms of technology, drugs, and cures, and things like that. So it’s not clear to me why we don’t spend more. What did you learn from writing the books? Contrary to what I think most people believe, books actually seem to matter. I think some of us consider books some leftover medieval relic and pretty soon it’s all going to be blogs and internet – but it turns out that that is not the case. For me, it’s been a tremendous opportunity to go and talk to all sorts of people that I otherwise would never get to meet and interact with. Many people are interested in science education. If we can get these conversations started, it will eventually lead somewhere. I’m convinced.